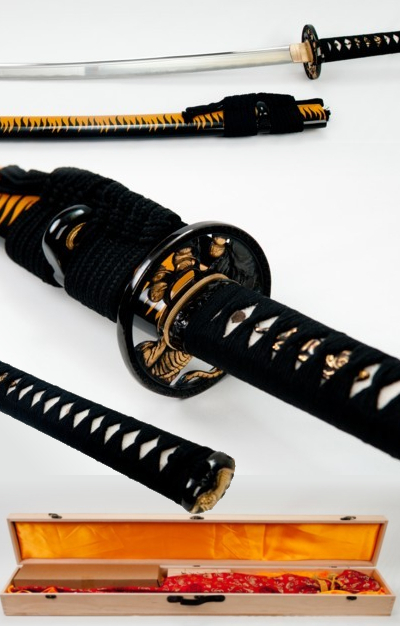 Shintogo Handmade Stainless steel Tiger Koshirae Practice sword. The Ito is Black silk over White Rayskin. Tsuka is double pinned with bamboo mekugi, silk Ito wrapped with hishigami. Saya is wood with Tiger stripe design. 3 pc bullhorn, Black silk Sageo. Handmade. Brand new. Comes with wooden case , silk sword bag, stand, cleaning kit.